Having said that (once again), it should come as no surprise that topping the list of sources which ecommerce retailers base their website decision making efforts on is web analytics. 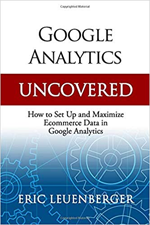 The E-Tailing Group, Inc. reports that out of 20 different areas to choose from, web analytics was the leader in driving merchandising decisions for many online businesses. So why did web analytics top the list? I’ll tell you why I believe it did. Because website analytics provides non-biased, objective, and factual data that can’t be disputed. Providing it has been installed correctly, web analytic reports are based on concrete information of activities surrounding your site. Web analytics do not lie. They paint a true picture, no matter how grim or glorious of the state of your website at a given point in time based on actual events occurring within it. Interpret the analytics correctly and you’ll often find a gold mine of information that uncovers exact points of inefficiencies that could be costing you sales. There are many analytics systems out there. Each offers their own benefits. I’ve been able to generate conversion rates (unique visitors to sales) for clients as high as 18.4% with data that was gathered using properly installed Google Analytics. So, don’t think that you need to shell out big dollars for a tracking system in order to gather the necessary data to increase your sales and website conversion. It’s not always about the system you use, it’s how you interpret the data it reports.